Dimensions: 154cm width x 154cm length x 170cm height. Materials: Fluorescent lights with daylight tubes, halogen light with yellow gel, synthetic oak, double glazed units, MDF, mirror, emulsion paint, powder coated steel, found chairs, headphones, sound, text. Slide projection on floor near by. 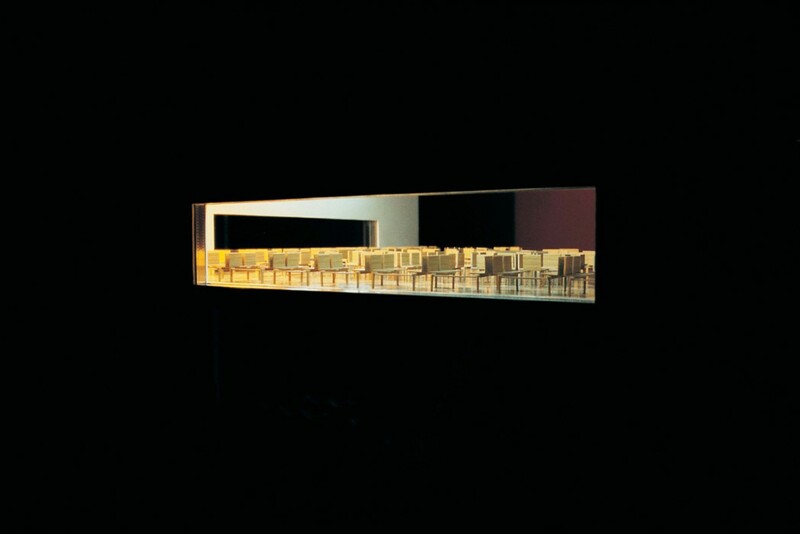 A Welcome Break presents a partially enclosed table-top model with a mirrored exterior and clear glass windows in two sides for viewing. The model is fitted to a formed tubular steel frame with two fixed seats in relation to the windows, and sound on headphones. The model describes a cafe at a motorway services as an interior that has been reduced to a floor, two walls, chairs and light. 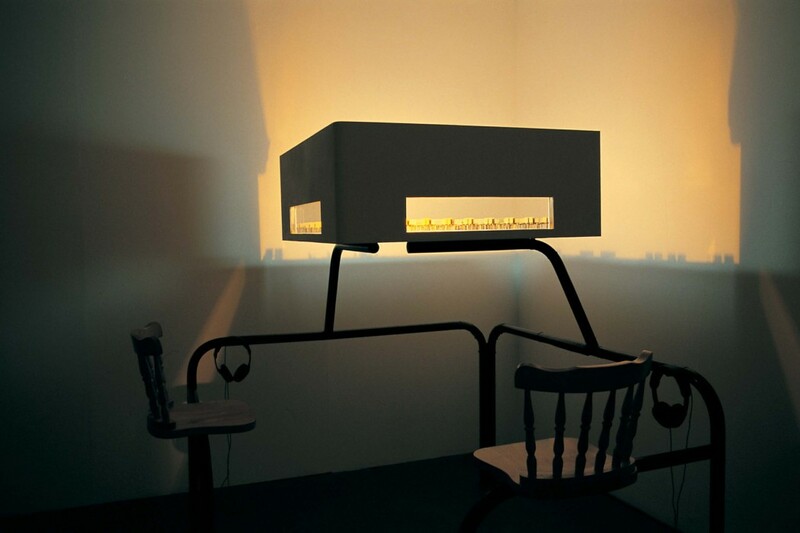 The viewer is projected into this interior landscape through the sound of a person describing a visit there. 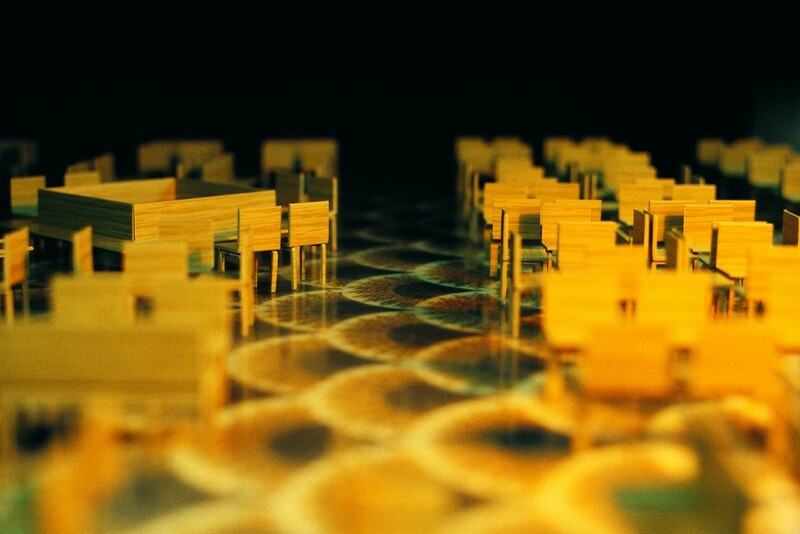 An image of the floor pattern used in the model is projected to real scale close to the piece. The projection and the mirrored exterior allow the model to shift in scale and take on the proportion of the space in which it is located.